Who ever heard of Christmas In July? Well, the folks at The Bicknell International Film Festival did and with that in mind, the 13th BIFF will feature 3 of the best bad B movies ever made about Christmas!! Break out your Christmas decorations, pack the sleigh and head to Bicknell  Santa is! 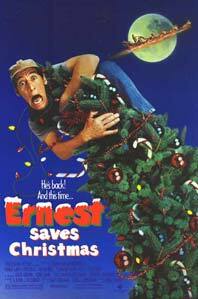 When Santa Claus decides to retire and pass on his magic bag of Christmas surprises to a new st. Nick, he enlists the aid of a hilarious assortment of characters, including Ernest P. Worrell. 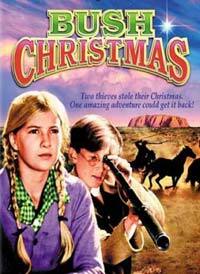 Story of three children and an aboriginal stockman who track down the thieves who stole a valuable racehorse, belonging to their father, with which he hoped to win the New Year's Day horse race and raise enough money to save his farm. Starring Nicole Kidman in her first movie role! Seminar topic to be announced soon. *Courtesy of The Australian Film Commission. Martian kids have been watching too much Earth Christmas television and want someone to bring them presents, so the Red Planet sends Kimar and Voldar (who hates Christmas!) to the North Pole to kidnap St. Nick and Earth kids Billy and Betty. 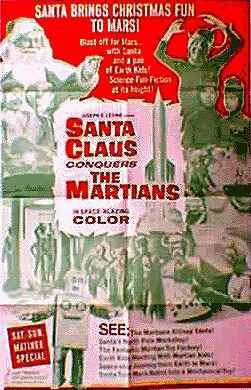 The Plan 9 from Outer Space of Christmas movies, Santa Clause Conquers the Martians offers such classic dialogue as, "Thank you, Santa, for bringing happiness to the children of Mars." The world's fastest parade (55 miles per hour), themed "We Wish You A Merry BIFFmas'", begins the festivities on Friday evening at the Chuckwagon Lodge and General Store in Torrey at 7 PM and ends at the Wayne Theatre in Bicknell. All participants are encouraged to dress in their best circus attire as well as theme their vehicles accordingly Be at the Chuckwagon at 6:30 PM if you want to drive your car in the parade. Friday night following the screening, the "Party of the Stars" will take place at the Cafe Diablo on the west side of Torrey. Musical pals "Sister Wives" will rock the Diablo! Saturday morning July 23rd at 9 A.M. starts off with our trademark Swap Meet at the Entrada Institute in Torrey. Bring some stuff to swap! The BIFF "It's a Wrap Party" featuring musical guests The Saliva Sisters will be held at the Rim Rock Inn and Restaurant in Torrey following the movie.